Mike Carbray, a GRAA Top 50 Growth of the Game Teaching Professional, is the PGA Director of Instruction at Butterfield Country Club in Oak Brook, Illinois. Selling at a premium price point is not just about product performance, but creating an experience. 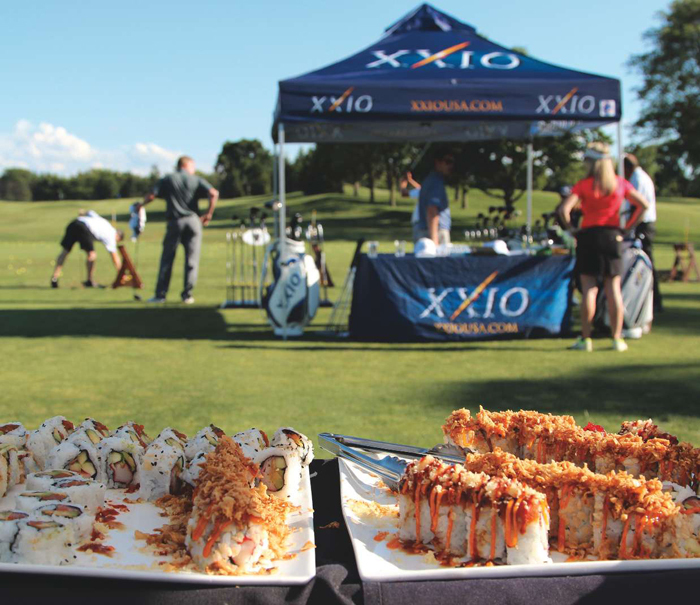 Butterfield Country Club delivered a memorable and unique event for members when they hosted the XXIO Sushi Demo Experience. The club’s executive chef set up a sushi bar on the practice range as members tested and were fit for equipment. “It was inline with the premium luxury tone that’s associated with the quality and price point of the brand. XXIO is also a Japanese company, so having sushi connected nicely with the story of the brand,” Carbray said. “It was definitely attention grabbing and drew in a lot of people. I mean, have you ever seen sushi on a driving range before?” Carbray estimates that 50 of his members now have one of more XXIO clubs in the bag, with PXG not far behind.